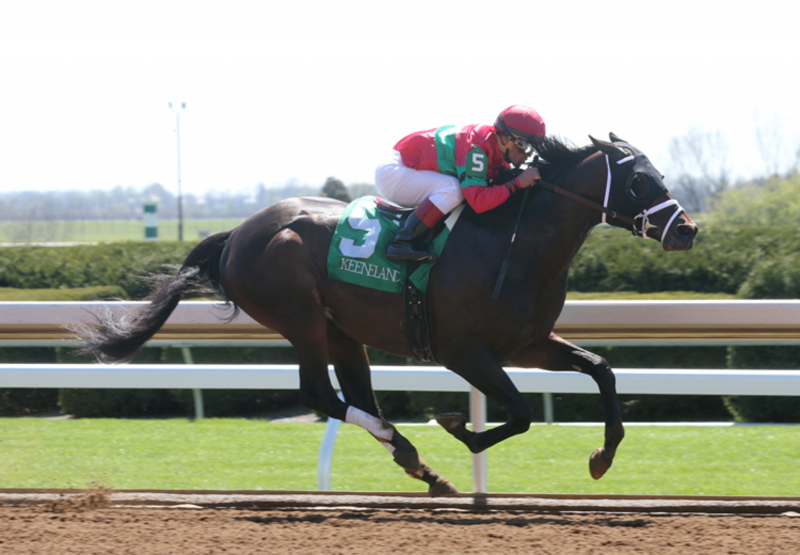 Classy entire Protonico (4h Giant’s Causeway x Alpha Spirit by AP Indy) found his best form with a vengeance at Keeneland on Saturday when bolting away for a commanding win in the $150,000 Grade III Ben Ali Stakes. Out of the money in the Grade I Donn Handicap at his first run this year, the Todd Pletcher trained son of champion sire Giant’s Causeway rebounded quickly here in cruising away to win the 1 and 1/8th mile contest by five lengths. “When we were handicapping the race, I didn’t see much speed,” said winning rider Javier Castellano. “I took advantage—my horse has speed. I rode him before and was in the lead wire-to-wire. I tried to do the same today, and it worked out very well. The way he did it [was] very easy. Turning for home, when I asked he responded so well.” A homebred for Sumaya Stables, Protonico is the first winner for Alpha Spirit, a sister to stakes-winner Diva Spirit and daughter of Chilean Champion 3YO Filly Wild Spirit. He has the overall record of five wins from 10 starts with prizemoney topping $590,000.